I don't know about you, but I really enjoy the long summer evenings, and times with friends! I can't help but want to start planning some fun gatherings out on the patio! 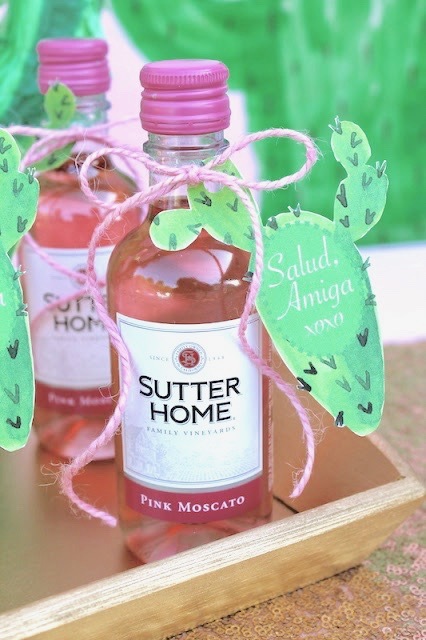 Sutter Home Wines make it so easy by offering a variety of refreshing flavors for everyone's Summertime gatherings! Invite your amigas over for the afternoon to relax, catch up, and regroup from your busy schedules! 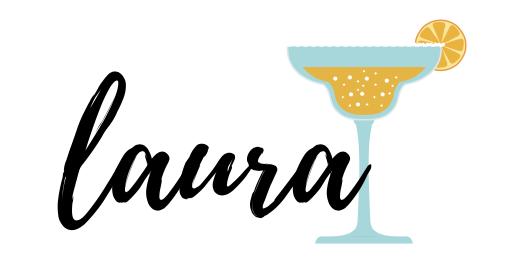 As I was planning our fun Summer visit, I grabbed a bottle of my favorite Sutter Home Pink Moscato wine and started thinking of a tasty drink recipe that I could create. I knew a cool, watermelon & wine spritzer would be the perfect treat! Decorate wine glasses by painting small designs on the stems of the glasses. I used a gold paint marker and created a unique doodle for each of mis amigas. The recipe is really easy to put together, and it's so delicious! I tend to gravitate to sweet wines, however, this watermelon moscato wine spritzer has the right balance between not-too-sweet, fresh watermelon, and bubbles! I paired my cocktail recipe with some tasty fiesta shrimp bites. Mmmm! The fiesta bites consist of only a few ingredients, and takes less than 20 minutes to prepare - my kind of appetizer! I took a bowl shaped tortilla chip and added a dollop of guacamole. I pan seared some frozen shrimp in olive oil, and sprinkled with taco seasoning mix as I continued to stir them around. Once the shrimp cooled, I added them on top of the guac and chips. See! Super easy. And muy delicioso! After hours of laughing, and great conversation, it was time to say adios. I wanted my friends to leave with a memory of how Sutter Home made our visit a little more special. As a small token, I sent them home with small bottles of Pink Moscato. This was my way of saying, 'Gracias' for spending a wonderful afternoon with me! I created some cactus themed tags with the message that read: 'Salud, Amiga'. They were so thankful and couldn't wait to enjoy their own award winning wine for another occasion. Want to make your own Watermelon Moscato Wine Spritzers? Here's the easy-to-follow recipe! Cut watermelon in to small squares - about 2 cups. Add them to a bowl, and mash with a fork. 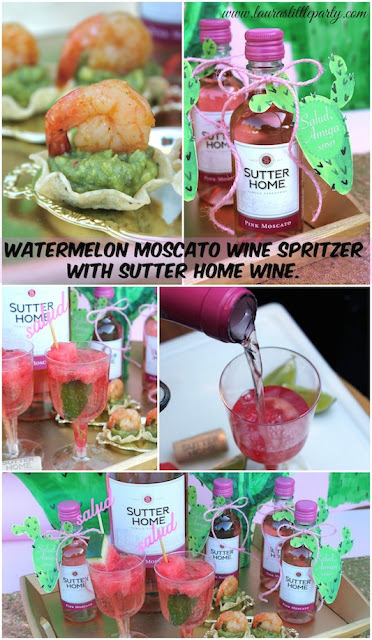 Add a small amount of the mashed up watermelon to each of the wine glasses, and fill a little more than halfway with Sutter Home wine. Add your splash of club soda, and garnish with chunks of watermelon and lime slices. I used these fun "Ole" and "Salud" drink stirers, from Creativities Galore! 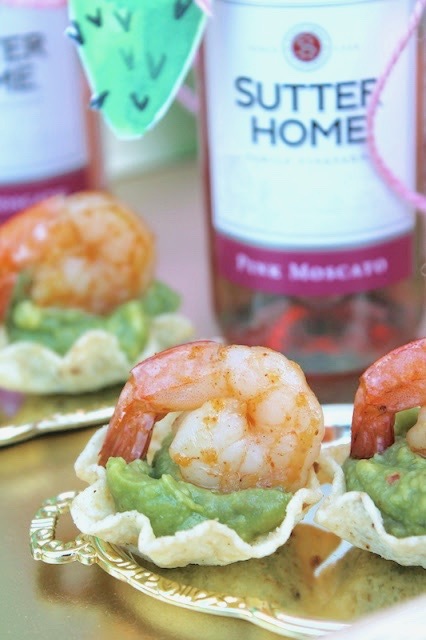 To find more great #SummerVino inspiration, click here! 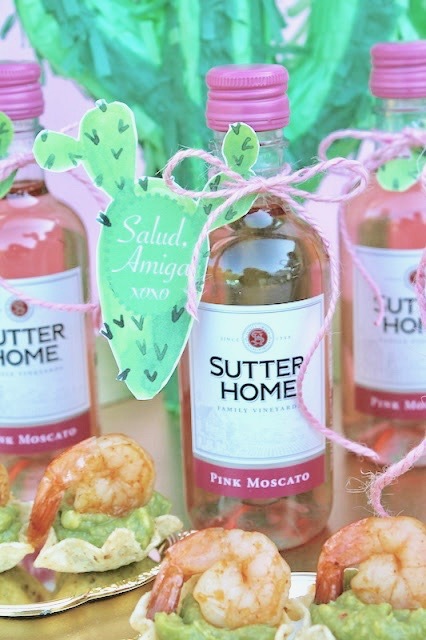 Sutter Home Wines are a great way to jump start your fabulous Summer, and bring friends and families together! 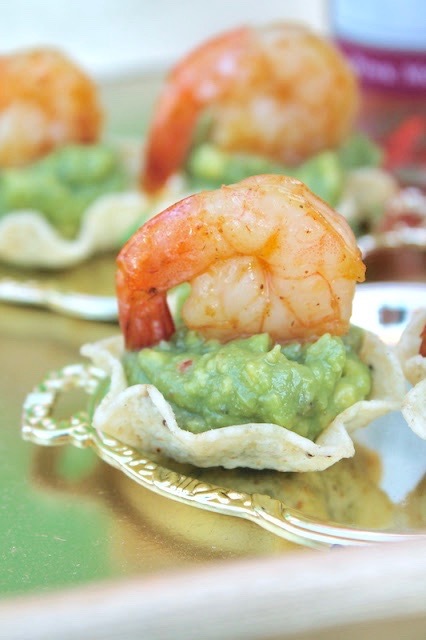 Here's a pin for you to save for your next fiesta!